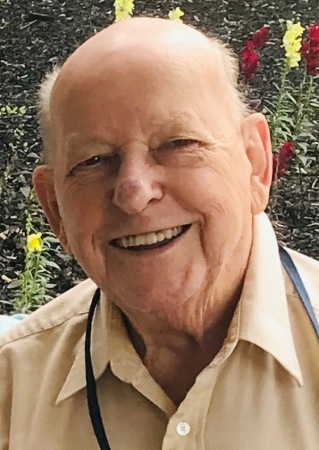 William E. Swiger, Sr., age 92, beloved husband of the late Lee Swiger (nee Henry). Loving father of William Jr. (Gail), George (Cynthia), Warren Bruce (Darla) and Heidi Sahli (Edward). Devoted grandfather of John Swiger (Susan Renee), Susan Schumacher, Scott (Amanda), Shaun (Brenda), Jessica, Ashley, and Mary Swiger, Michael and Christopher Sahli and Erik Mazur (Crystal). The Great One of 15 great grandchildren. Brother of the late Frank, John, Marge and Marie. Uncle of many. Devoted friend of the late Maria Gerakis. Veteran U.S. Army WWII. The namesake & longtime dedicated employee of Swiger Coil Systems, Inc. Funeral service Friday Nov. 2nd at 11:00am at Dover Congregational United Church of Christ, 2239 Dover Center Road, Westlake. Family will receive friends from 2-4 and 6-8pm Thursday at Jenkins Funeral Chapel, 2914 Dover Center Road, Westlake. In lieu of flowers, memorials may be made to Disabled American Veterans, 1240 E 9th St, Cleveland, OH 44199 or Wounded Warrior Project, 4899 Belfort Road Suite 300, Jacksonville, FL 32256, woundedwarriorproject.org. I worked at Swiger coil for 15 years when I lived out there,Bill was such a nice man,He was always so nice to me.His smile was so warm and kind.I know he will be really missed so much.My Prayers go out to the family,and his friends......R.I.P.. Bill Swiger..
Condolences and best wishes to the entire Swiger family. Heidi & I have been friends since 3rd grade at Dover Elementary, and in all that time your family provided a positive influence for me. From Dover Church to Boy Scouts to band to body casts, you led by example and demonstrated peace & fellowship within your family. Your parents made me feel welcome upon every visit. Love & appreciation to you all.